Where most of us are at, infants have a real fighting chance, even when there are complications with their birth. However, there are still plenty of areas of this world where that isn’t the case. The Embrace was designed just for those developing countries. 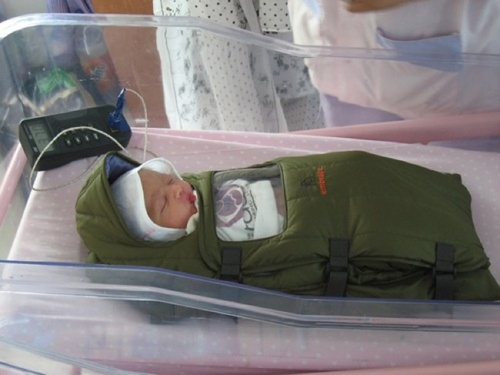 This instant infant warmer will keep infants warm during those crucial hours after a premature baby has been born. This has the potential to reduce infant mortality in areas of the world that are heavily poverty-stricken. It uses hot water and gets to the ideal 37-38 degrees Celsius. Once it has reached that temperature it wraps up the infant tight to make sure they stay warm. Amazingly, unlike other medical products this has managed to stay at a reasonable price. They’ll be mass produced and sold for all of $25 to clinics everywhere. It’s already had a trial run and did quite well in saving Nisha, an infant who needed a little boost in body heat.